I have a confession. I’m addicted. To cookbooks. Want to know the way to my heart? Buy me a cookbook. I have cookbooks of all kinds: lots of Rachael Ray. Tyler Florence. The Fanny Farmer classic standby. Giada. Barefoot Contessa. Love them all. Have I come close to cooking everything in them? Not a chance. But I use them often, and their sometimes sad condition is evidence. I have Post-Its sticking out everywhere marking recipes I want to try. I have spills and splatters on the pages. The spines of a couple of my favorite Rachael Rays are broken and the pages fall out (very annoying). I have scribbled notes all over the pages (including the dates I make each recipe and who I cooked it for — one of my corny/sentimental traditions which has actually turned out to be pretty cool). So, why cookbooks? A few reasons. 1) I’m really good at following directions. (Really. I am. When I want to.) 2) I’m a perfectionist, so it’s much more satisfying for me to follow a recipe successfully and make something good, than to try to concoct something on my own and have it turn out not-so-hot, which is what usually happens. 3) Cooking is a sort of therapy for me, so it’s nice to not have to think too much when I’m cooking. I just follow directions. Someone else has thought about the flavors and tested it and verified its delicious-ness. I just execute. 4) I love food, and what’s better than eating food? Reading about food. That’s what. 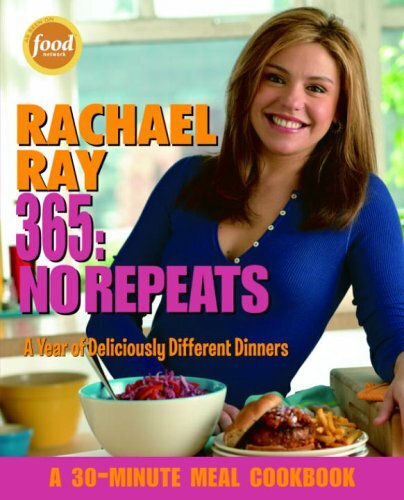 1) Rachael Ray 365: No Repeats — The premise of this one is a recipe for each day of the year. My copy is literally falling apart, and I have made a TON of the recipes. My favorites: Greek-Style Garlic Shrimp and Orzo; Sausage and Mushroom Polenta Lasagna; Lettillas: Lettuce Tacos. 2) Rachael Ray Express Lane Meals — The premise: you’ll only need to use the express lane at the grocery store to get the ingredients for each meal. (Not always true, but the idea is not many ingredients.) My favorites: the best broccoli ever — spicy garlic-roasted broccoli; really good warm salads; an awesome black bean, chicken, chorizo burrito. 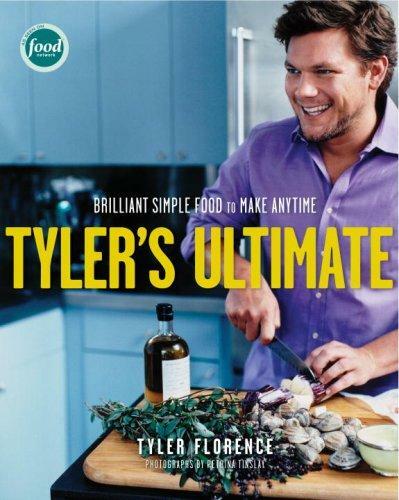 3) Tyler Florence: Tyler’s Ultimate — The ingredients in this one can be a bit more ambitious, but there are plenty of basics. Florence really hits the nail on the head with the “ultimate” description for each dish. They’re not low-fat. But they’re delicious. Try the ultimate: lasagna (with bechamel, yummm), chicken and coconut paella, potato salad (with pickle juice as an ingredient, you can’t go wrong) and the kicker: the ultimate mac and cheese. Oh yes. Good as it sounds. 4) Ingrid Hoffman: Simply Delicioso — Hoffman is Colombian, so this cookbook has an awesome Latin/Puerto Rican/Cuban/Miami flair. There’s lots of plantains, avocado, tropical fruit and seafood. Try the brandied shrimp, cheesy chicken and pesto sandwiches and emerald rice. 5) The Barefoot Contessa Cookbook — This one is a little snobby (do you have to say “good quality olive oil” every time you list it as an ingredient?) but the dishes are awesome, if not a little, teensy bit more ambitious than my norm. The best: Grilled Lemon Chicken with a satay dip. You marinate the chicken overnight in a lemon/olive oil mixture. Wow. That’s all I have to say. Have any cookbooks I should try? Let me know! This entry was posted in Uncategorized and tagged cookbooks by Tricia. Bookmark the permalink. I can’t stop laughing. My mother is addicted to cookbooks. Someday, I am giving you my inheritance. 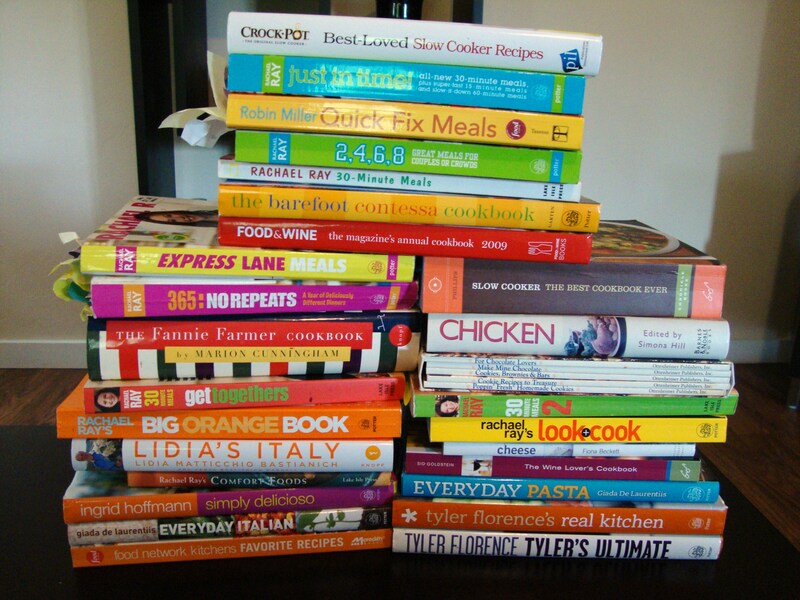 I have a serious cookbook problem, too. My husband casually remarked that my bookcase is so full I won’t be buying new ones any time soon… good thing he hasn’t seen my Amazon.com list! LOL! Ignorance is bliss, right?